A lot of times, we track back into the house with all kinds of sticky substances. Among the stubborn dirt carpet owners deal with is the greasy, oily and sticky stains and grime. Whether the mess is foods like honey, margarine, eggs and cooking oil or the automotive oil, tar and grease, cleaning sticky dirt on carpets has never been a walk in the park. Greasy stains and grime stick on the carpet fabric and when left to dry, it gets worse. Removing this dirt needs a lot of care as you may damage the fabric if you do it the wrong way. 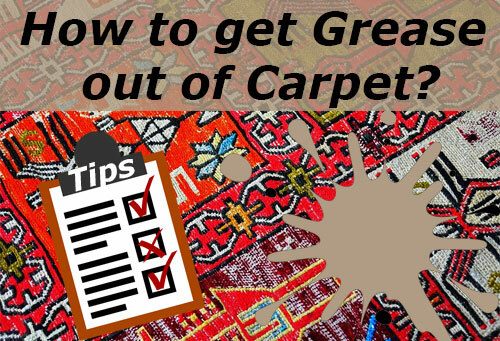 In today’s article, we want to shed light on how to get grease out of carpet without compromising the carpet’s or rug’s condition. You will agree with me that in any household, a vacuum cleaner is indispensable. Besides picking up dirt, they do an excellent job in removing grease from carpets. These cleaners come with high-performance motorized brush rolls which effectively remove the sticky dirt from carpets. But there are so many types of vacuum cleaners. So which one exactly are we talking about here? Second, how are you going to ensure grease and oily stains get out of a carpet with a vacuum? There are four types of domestic vacuum cleaners. We have the canisters, uprights, stick & handheld and lastly, the robotic vacuum cleaners. Regardless of the type you choose, it is imperative that you pick the specially designed vacuum cleaners for carpets. For bigger grease messes on carpets, we highly recommend the canisters and upright vacuums because of the raw power they put up. But make sure you pick the right vacuum depending on your carpet type. We have the general vacuum cleaners for carpets and highly specialized models for shag carpets. We also like the robot vacuums because of the autonomous operation. With the likes of Roomba 980 and Roomba i7+, you can immediately clear messes by the tap of a button on the Smartphone app or telling Alexa what you want. For the inaccessible places and small grease spots, a stick vacuum like the Dyson V8 and Dyson V10 will be the best. 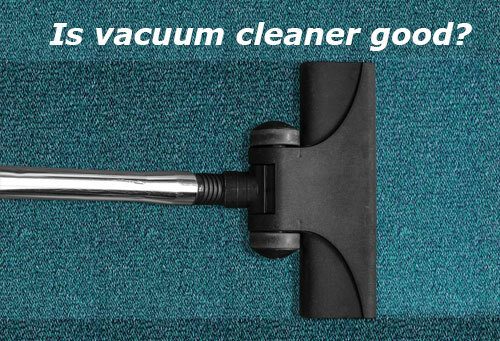 With the right vacuum cleaner for carpets, you can save a lot of time when removing grease from carpets. It is time you abandon the old way of manually removing grease from carpets – a vacuum cleaner works magic. Besides, the rough brushing in manual cleaning may damage the carpet fabric. You will agree with me that a vacuum cleaner alone may not remove some grease stains. Such stubborn stains require a detergent. There are professional detergents for removing grease from carpets as well as the DIY solutions. Detergents work by loosening the bonds between the grease and the carpet fabric. In this section, we are going to find out which are the best home based solutions for removing grease from carpet and the professional detergents as well. Did you know that your typical dishwashing solution can remove grease and other oil stains from carpets? Here’s how to work the magic if you have small mechanical grease stains and oil on your carpet. Prepare a solution of the dishwashing detergent in the ratio of 5ml to 1000ml of water. Apply the dishwashing solution sparingly on the stained area. Once the grease and oil clear, rinse the area with warm water and dab with a clean, dry towel. Tip – Work from the outside of the grease stain towards the center to prevent the grease from spreading. 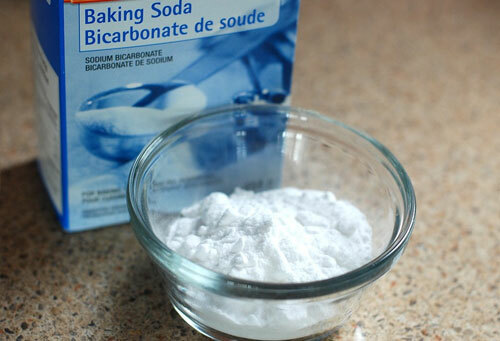 If you have no dishwashing solution, here’s also how to remove grease out of carpet with salt and alcohol only. The alcohol is for dissolving the grease and oils while salt grabs much of the grease that would have otherwise attached to the carpet fabric. In the first step, you need to scrape off the grease and ensure that you remove as much as possible. Pour salt and alcohol sparingly on the remaining stain and start blotting it up with a clean towel or paper towels for the small spots. Tips – This method works best when the stain is still fresh. Also, don’t allow the alcohol to seep beneath the carpet. Among the little-known uses of vinegar is removing grease from carpets. So, how do you do it? As usual, scrape the excess grease from the carpet until very little of it remains. Rinse with cold water and dab the area until it dries. Here again, you can use your vacuum cleaner for carpets to finish off. Tip – Use a little vinegar and soap solution as you go to avoid soaking it. At times, the home-based grease removers may fail so before you consider calling in a professional, you might want to try out the professional grease removers. We have several on the market including Unbelievable Pro Un-Goo Grease, Oil, Tar & Adhesives Remover, ProForce – Member’s Mark Commercial Heavy Duty Degreaser among others. These degreasers work in the same way as the home-based solutions – vinegar and alcohol. For the small messes on your carpet, you can explore the vast homemade solutions. However, bigger messes require heavy duty carpet cleaning. Imagine cleaning a five-gallon oil spill or numerous grease spots. Professional carpet cleaners have the right equipment and expertise in removing grease and oil based dirt from carpets. While their services may come at a heavy cost, at least you can have your carpet back without the stains, dark spots and blemishes. That’s it for today folks. You now know how to remove grease from carpet effortlessly. While all these methods work pretty well, it is still important to avoid greasing your carpet. Don’t come in the house with the same shoes you had in the garage lest you track in oil and grease. The greasy stains may end up damaging your fabric significantly because of frequent brushing and exposure to strong cleaning chemicals. We recommend having working mats if you have to work your carpet. At least this way, you will rarely grease the rug. Better still, use a low pile carpet if you are a mechanics junkie who can’t do without the oil and grease.